IHS Markit has made an investment in and partnered with Cobalt, a foreign exchange tech firm, to develop a post-trade processing service for FX markets. 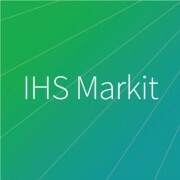 The collaboration will be done through IHS Markit’s MarkitSERV, and aims to offer a shared post-trade infrastructure designed to replace legacy technology and manual processes, as well as to reduce operational risk to the FX market. The financials details have not been disclosed. The alliance combines MarkitSERV’s network of over 800 FX counterparties and venues with Cobalt’s back and middle office platform, which uses a combination of shared ledger and low latency technology. “The majority of the FX industry is already integrated with the MarkitSERV network and we now offer the community turn-key access to the Cobalt platform and the opportunity to radically streamline post-trade workflows,” says Chris Leaver, managing director and head of FX at MarkitSERV. Cobalt says that post-trade processing costs the FX industry billions of dollars per year, increasingly affecting margins as spreads continue to come under pressure.